Regarding lost posts ... After you publish a post on your blog, make a copy and save it to a document, file it away and forget about it. It'll be there if, no when, the inevitable happens. Widder, how timely this post is. I use Dropbox and Carbonite to backup my files. This morning I went into a File I have labeled, "Saved." I keep all my non-business important stuff in there. It was gone. For some reason, once in a blue moon, Dropbox loses a file. And, it must have happened a couple of days ago because it was gone from Carbonite also. While these services are great, it you work from Dropbox and lose a file or it loses it on you, Carbonite will back up your computer with that file missing. I'll have to see how long back a Carbonite "restore" will go. 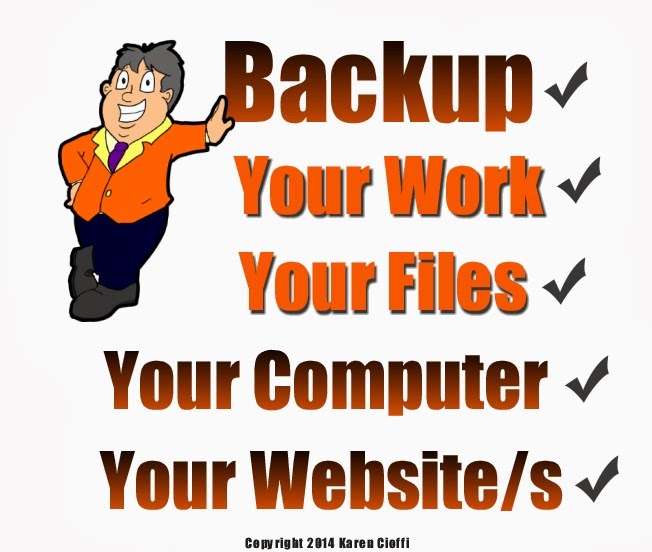 Forgot to mention that for that file/document you save, you need to put it on a zip drive. And, I've had 2 zip drives crash on me. Is there any absolute fail-safe processes?